As the game begins, Shephard is part of the clean-up operation. After his transport aircraft is taken down by an Alien Aircraft and he is cut off from the rest of his unit, the “clean-up” mission is abandoned and Shephard joins forces with the scattered survivors seeking escape. 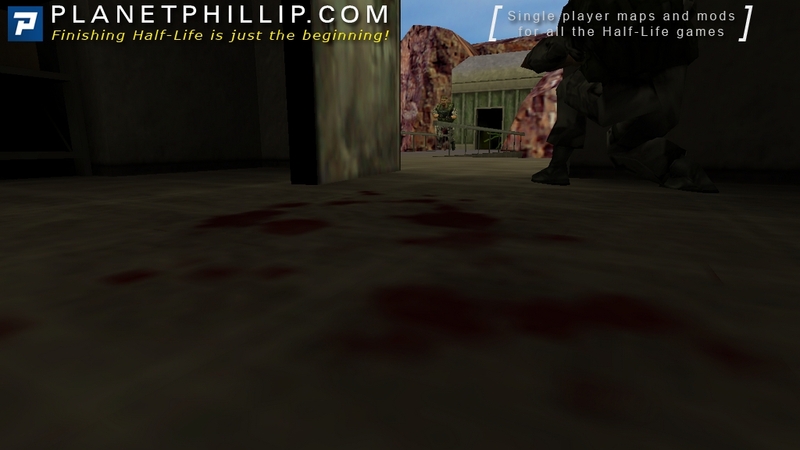 Before the first chapter of Half-Life: Opposing Force, a short introduction is shown. As Adrian Shephard and his fellow HECU comrades are approaching the LZ (Landing Zone 117) at the Black Mesa Research Facility, his plane (codenamed Goose 7) is shot down by alien aircraft, along with several other V-22 Ospreys (the first one is codenamed Goose 3). 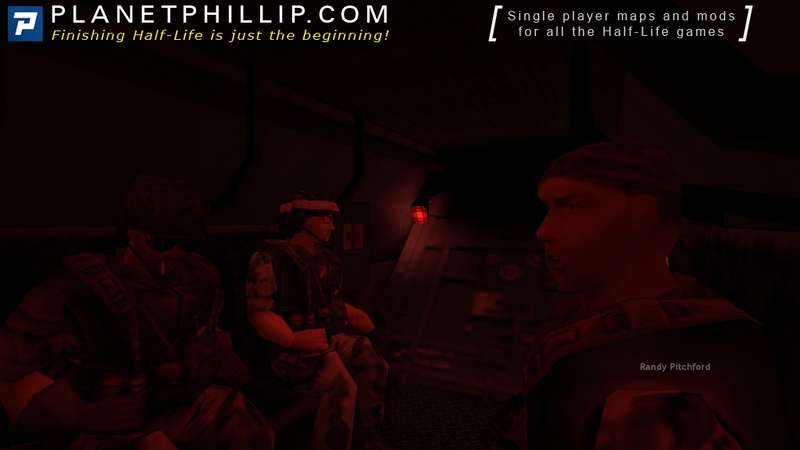 The rest of the opening sequence consists of Shephard continually losing and regaining consciousness, seeing conflict between the Xen aliens and the Marines who survived the crash. 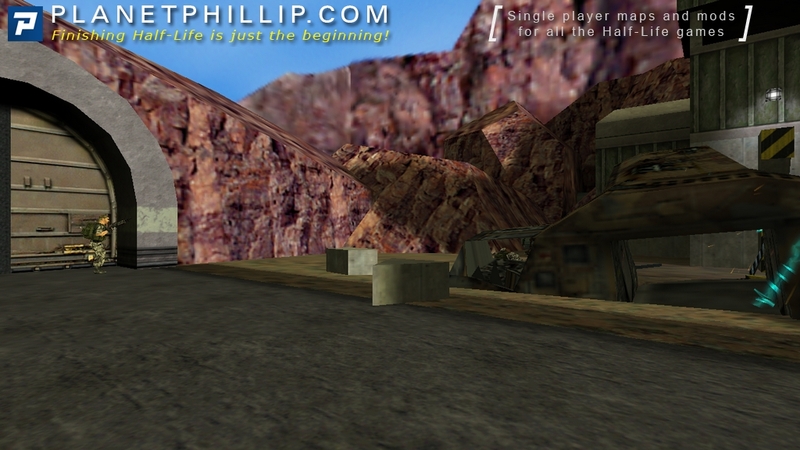 The canyon wall from the first part of the Half-Life chapter Surface Tension, which Gordon used to get to the Lambda Complex, can be seen. The chapter name “Incoming” is given in the “titles.txt” file. This chapter most likely takes place at the same time as either “Office Complex” or “We’ve Got Hostiles” in the Half-Life storyline. There is no poll for this chapter. There are no challenges for this chapter. There are no saves available for this chapter. 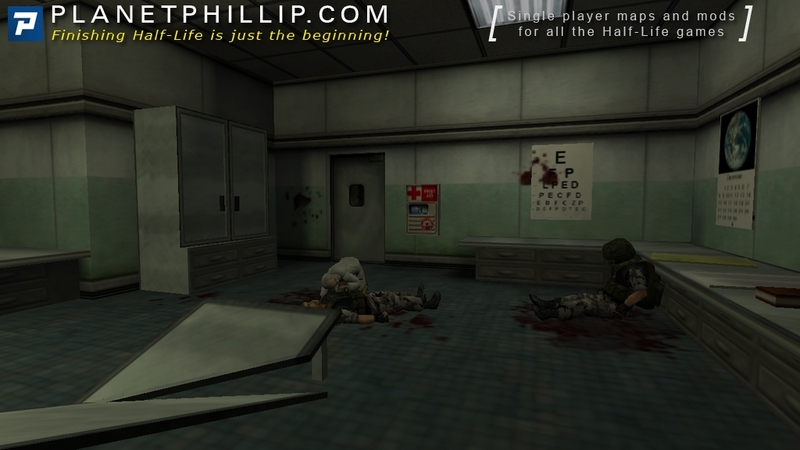 This is no “Black Mesa Inbound” but it still sets the scene very well. I actually think it was too short and would have been better to have seen more of Black Mesa from the air, as well as a longer crash scene. Of course, it’s easy to criticise now, but it was still fun. Certainly, excited about starting the game proper. I didn’t see him, did you? The soldier that gets hit with a vortigaunt bolt just froze for me. Did you notice anything? 0 YAY! probably, the only time that will happen in a chapter. 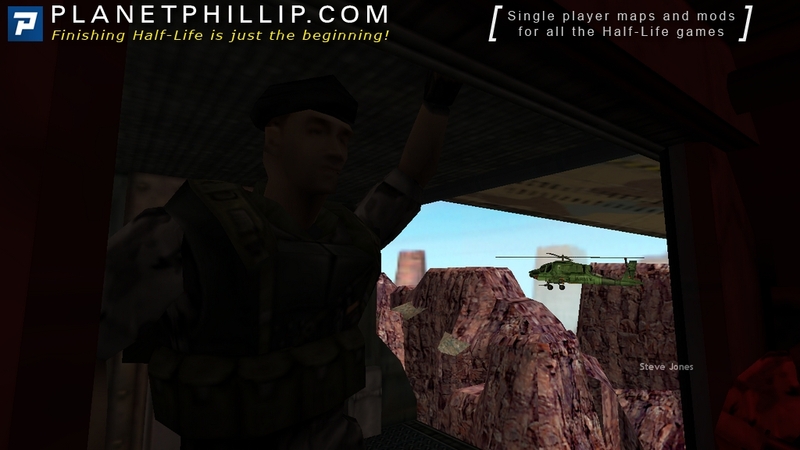 In the spirit of Half-Life, the game starts in the mean of transportation, a helicopter this time. We expect to get orders upon arrival, but the helicopter is destroyed by alien flyers. One of this chapter’s tasks is to convince us that we’re in Black Mesa, and it does so with showing the cliff from Surface Tension. We come to ourselves outside the crashed helicopter, but then lose consciousness due to airstrike. After the training mission, this is the start of the game proper. 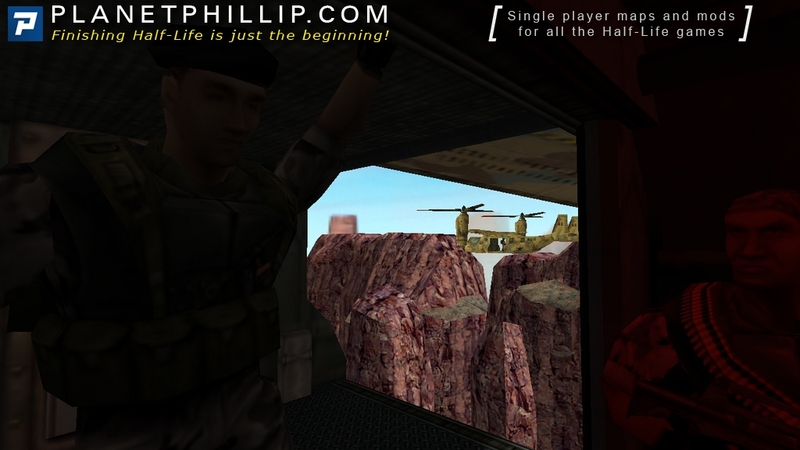 It was cool to arrive at Black Mesa by another means, but the crash of the chopper is extremely cliched. 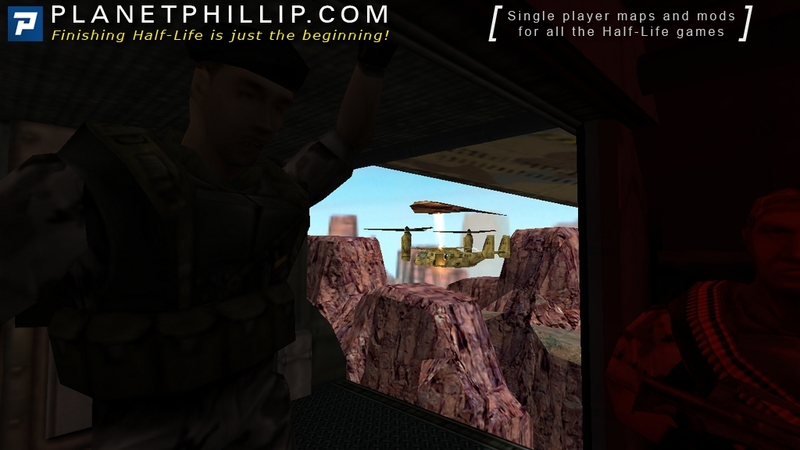 The graphics outside the helicopter also look pretty dated now. This is basically just a cutscene since we have no control over events, so there’s not much else to say. Awesome intro for me, great lines also. Could’ve been longer if they were to follow Half-Life’s model. But like others said, using also means of transportation, and showing us a connection to the facility, came close enough. A very short but sweet introduction chapter. Similar to Half Life’s Black Mesa Inbound however is not quite as long and you don’t really get a big sense of your surroundings. A nice little feature I noticed is you fly past what appears to be the cliff face from Half Life’s Surface Tension. In fact I believe the game starts off around the timeframe of said chapter. 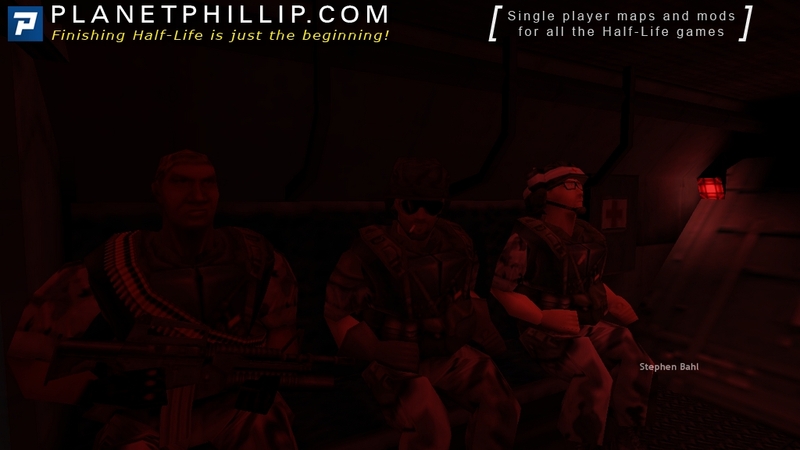 Unlike Half Life you are almost immediately introduced to aliens and probably realise this isn’t a normal situation, but then again who would be playing Opposing Force who hasn’t played Half Life. Someone messed with teh skybox!? A model pack I installed has a glitch in which the Saw that Tower is holding goes thru his arm cwfadwfd. Also, I would hardly call up a glitch caused by a third party model set. I was like Half-Asleep when I wrote that. I know that the Model pack isn’t part of the original game, but I thought it might be worth mentioning. The opening of Opposing Force is great in a number of ways. First, it follows Half-Life’s model of introducing the situation and location, but this time around it’s condensed into a couple of minutes and for me, I’m glad it wasn’t any longer. It does a great job of showing you familiar things (Apaches, Ospreys, the cliff) to set the scene. Following on the allusions to Full Metal Jacket in Boot Camp, Gearbox paid homage to Predator a bit in the Osprey sequence, which mirrors some of the banter in the helicopter insertion near the beginning of that movie. Mapper’s Corner: The opening sequence (particularly the Osprey ride) is still one of the most impressive sequences I’ve seen in Goldsource. During the Osprey ride, you’re stationary while everything else (cliffs, rocks, the Surface Tension area) are all moving. Gearbox used a combination of func_trains and a large func_rotating (appropriately named spinning_whore) for the cliffs and canyons to give the impression of you flying past them. I actually wrote a detailed tutorial on this sequence and it was the basis for an example map and a contest entry at the old VERC. A good intro sequence, but it would have been nice to just touchdown and move into the facility on my own two feet! But I guess that’s the Half-Life way, always a disaster! The scenery flying past the open door defiantly tells you your heading for the ” Mesa and the alien gliders, that your heading for trouble! “Incoming” is equivalent of “Black Mesa Inbound”. For short, a tramride introducing the game. The difference is that Shephard is in an Osprey rather a train. 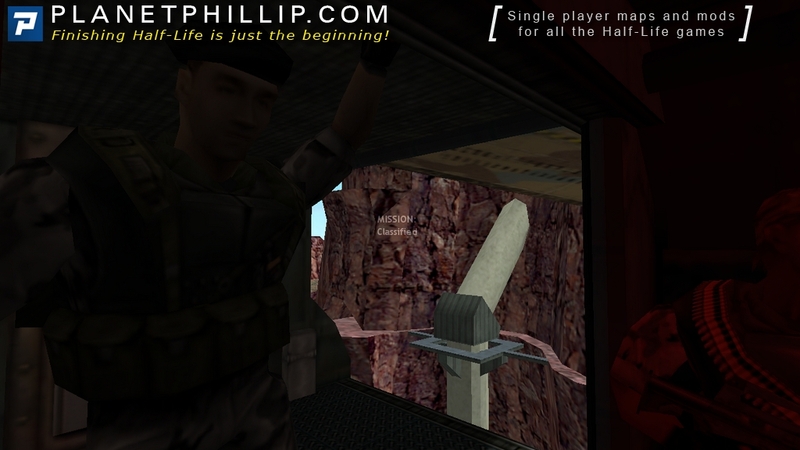 In this chapter we only can see at well designed mountains , a djÃ -vu area, and dialog between two soldiers. But suddenly the hell is there introducing another question: Does Shephard can be more unlucky than Freeman ? Is it at least possible ? The last chapter that i’m gonna post late. As you will notice, This chapter contains close to no gameplay. Unlike most people here, I actually used wisely those 4 seconds that I can control shepard. As you can see, I grabbed an mp5 eary on the crash site, and this mp5 is gonna get me an early shotgun later on. I feel really lucky that I managed to grab this mp5 during TREE since I only got one try and I only get this right one time out of 4 approximately. This chapter is actually pretty cool. I heard many people complain that unlike Black Mesa inbounds, you can’t control the character. I actually think the developers wanted to give us the feel that, as a marine, aren’t allowed as much freedom as a scientist so we must stay in place. We get to know that the marines didn’t actually apply for a clean up operation, but rather got tricked into it. We didn’t get our orders yet, so we don’t know we have to kill everyone yet. We also crash right in Black Mesa before getting those orders, which explains why we act friendly toward many civilians in Black Mesa. We also witness a scene where one of our allies die, and we can guess the follow-up (the marine at our side will wait and stab the vortigaunt). Then we wake… no wait that’s te next chapter. when will it be by the way? I think getting the mp5 early should have been a challenge. 2 minutes 35 seconds 750 milliseconds. This is a stock time, since all the sequences have set durations. unloike black mesa inbounds, it is IMPOSSIBLE to go faster or slower than this. I think phillip should change everyone’s time to this because any difference in time means a bad timer. you either didn’t start right when loading the chapter or didn’t stop right at the level transition at the end. I think it’s unfair for the total times when people end up with 4 minutes for this ._.